According to research, air conditioning and heating will take around 43% of your home’s monthly utility bill. Well, due to this fact, below are few ways you could use to reduce the cost of energy this summer. It is a fact that a majority of heat that accumulates inside a home comes directly from the sun through the windows as well as onto the roof. As such, planting leafy trees around your house will break the sun rays from getting in the house. The aim is to shadow your AC. 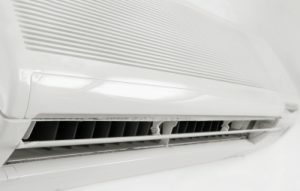 Through this technique, you have the power to improve your air conditioner’s efficiency up to 10%, and this is according to the same research paper. Did you know that a mesh-like window or solar screen has the power to intercept up to 70% of solar energy before the sun rays reach in your home? Well, these filters are paramount and effective on the east and west side facing windows. This information is also according to the U.S. Department of Energy. You could also use window films as an option. This is because they are transparent, metalized sheets which reflect heat before it could pass through the glass. However, even though this is the case, Windows must be shut for the films to work effectively. The solar screens have double the power to keep the sun and insects out even if the windows have been opened. Reduce your air conditioner’s thermostat setting to about 78% when you are at home. However, you should let the number rise to a warmer temperature at nights or when you are away from home. Through this technique, you could save 5% to about 15% bill on air conditioning. In order for an AC to work efficiently, air needs to circulate the house. Therefore, if it is possible, place the fans on the upper levels of your house and open the windows on the lower level. According to The U.S. Department of Energy, they recommend that if you are living in a one-story apartment or house, it is advisable to close windows near the fan and open the windows in the rooms that are far from it, and more advisably on the windward side. To save money on AC bill, you should consider reducing indoor heat and one way to do this is by minimizing the time you spend at your stove during the summer. Instead, you should consider using the microwave or consider eating cool salads. If you must cook anything, you should consider cooking them in the evening and saving some for tomorrow. If you must cook, then you should consider turning on the kitchen exhaust as well as use the bathroom exhaust fan after a hot shower. If you have an old AC, you should consider replacing it with an innovative unit. This way, you have the power to reduce your energy cost by around 50%. However, before you buy one, you should consider looking for a high-energy AC. The higher it is rated by the EER, the better it is. Set the AC fan at high speed, except on very humid days. If a day is humid, you should consider setting the speed on low setting. By doing this, the air conditioner will be in a position to remove moisture from the air, making the home comfortable.